How would feel about enjoying music direct from your shades? This is a real possibility as Zungle are reinventing the way we think about sunglasses in the 21st Century. Using cutting edge bone-conduction technology, glasses company Zungle are on the prowl to ensure you enjoy music on the go. Its co-founder, Jason Yang has already taken to Kickstarter to give his project a real kick up the backside. This has proven to be extremely successful as they have already raised a cool two million dollars so far. Zungle shall make you free. Still available from the URL in the bio! It’s turning out to be a real hit thanks to their unique selling point – bone-conduction technology. This gives the user the opportunity to listen to music not to mention call people through the shades. Talk about being too cool for school! And for Zungle, they have perfected this in their most recent offering entitled the Zungle Panther. As slick and as eye-catching as its namesake, these dark sunglasses have attracted plenty of attention and smashed their funding goal. As they say, it is a Zungle out there! Two in One Check out Zungle Panther via the url in the bio!! So what are features of The Panther? Well, for starters, you can benefit from wireless headphones as well as Bluetooth connectivity. Hands-free calling is a doddle, whilst there is also a built-in microphone and audio control system. Thanks to bone-conduction, sound can travel passes through your skull. As a result, this allows your ears to hear all the sounds in your surroundings. You should have approximately four hours of playback time from these shades before a charge. The latter normally takes less than an hour and a half to complete. How did the original concept for these glasses come about? Zungle CEO, Jason Yang initiated the idea due to grievances when wake boarding. He became fed up with listening to music through an ear piece, whilst wearing sunnies at the same time. In fact, Zungle’s sunglasses can be worn for a number of different outdoor pursuits. This includes the likes of biking and skiing and removes the annoyance of having to worry about an extra earpiece. Whilst the idea of bone-conduction technology is not a new one, Zungle has delivered a cost-effective consumer product. After twelve months of playing boffins in the lab, Yang turned to crowd funding site Kickstarts in order to progress his sunglasses. The initial aim was only to raise $50,000 for their high-tech shades. Although it was a low estimate, things began to snowball quite rapidly. Kickstarter was the ideal platform on which to promote their product to a global audience. With the campaign ending only last month, Zungle had managed to raise in excess of $1.9 million. This made their scheme one of the 100 most popular funding initiatives ever on the site. How do you like the Neon Green? Check out the link in the bio! There were even scam schemes set up which claimed to do the same thing as Zungle were attempting. The campaign for scam specs was later taken down after a backer informed Zungle about the mock campaign. Now the hard work begins for Yang. Nevertheless, as with a variety of campaigns, time is certainly ticking on the fate of The Zungle Panther. When it comes to the look and feel of the actual sunnies campaign, Yang has focused on a street vibe. Now, you don’t necessarily need to be down with the kids but Zungle has also launched a new campaign. This kicked off just a few weeks ago and is open to those who missed out first time round. Costing around $120, new backers can have the chance to land a pair of these spectacular sunglasses. However, sunglasses tech has been around for some years, most notably via Google Glass. From looking up search results to checking the latest weather updates, some of us fell in love this wearable technology. It was a precursor for many wannabe wearable gadgets which have exploded onto the market. Launched back in 2013, (which does seem light years ago!) Google Glass was not only complex but incredibly pricey for many consumers. But for Yang, it was more than that. He wanted to produce a pair of glasses that were both trendy and streamlined. “The starting point of Zungle is Google Glass, which has bone conduction technology. We thought they looked goofy. So we hoped to make something cool and wearable,” Yang says. Mood Check out Zungle from the link in bio! However, the fun does not stop for Yang and his Zungle buddies. In the long term, they are continuing to improve the product not to mention introducing other ones. 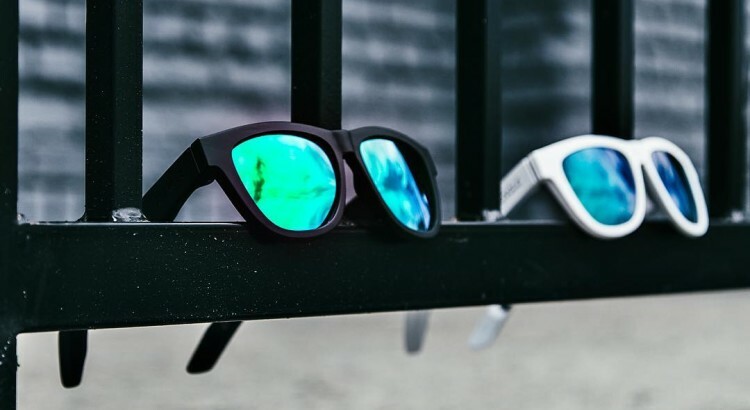 Their main objective is to captivate the sunglasses market using their technology but in a more unique way. They want to unite the earphone not to mention the headphone in a unique partnership. Zungle clearly understands that the market for this could be as massive as one of Dr. Dre’s oversized headphones. In spite of the fact that competition is fierce, consumers are ultimately looking for quality. This has not stopped Zungle sunglasses from thinking outside the box. Despite their current products which are entirely made of plastic, they are looking for alternatives. It may be a stumbling block as metal could be too expensive but Yang is willing to give it a go. “We have heard from tech that it is too difficult, but we hope to do it.” he noted. The Zungle Panther is priced at $109 but you may be lucky and grab yourself an advanced pack starting at $99. If you simply cannot wait for expected delivery of November, you can always check out our top designer glasses here.